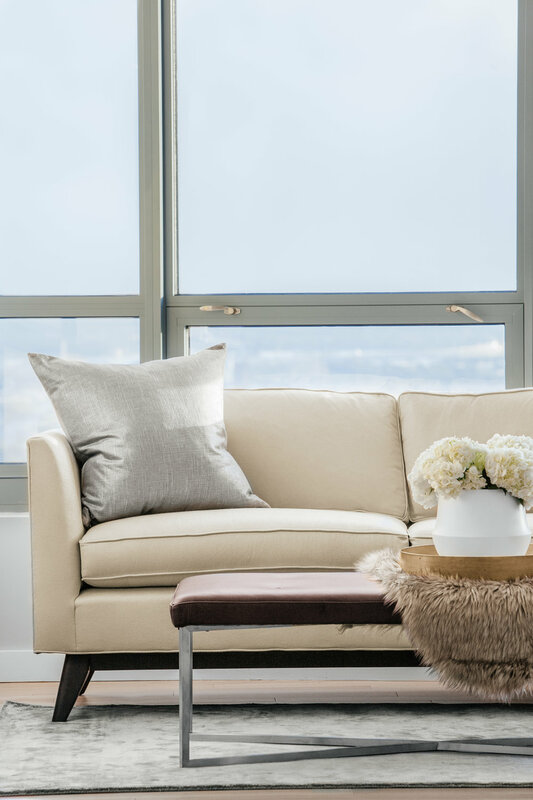 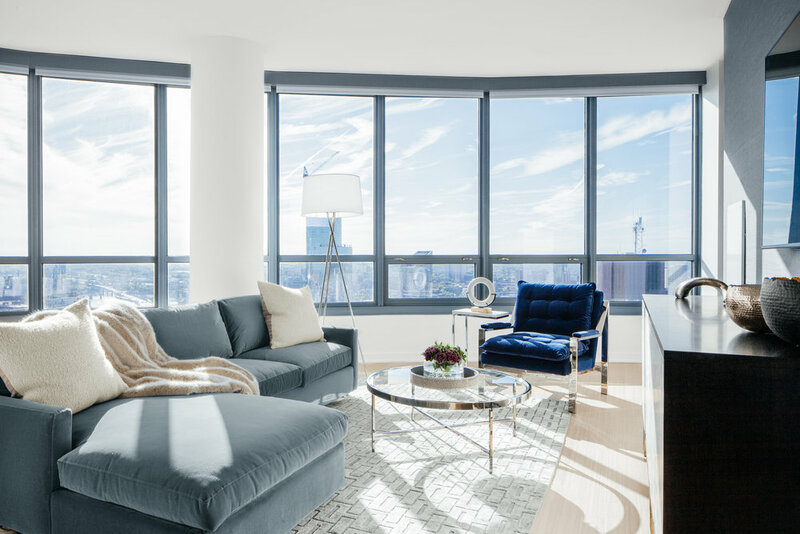 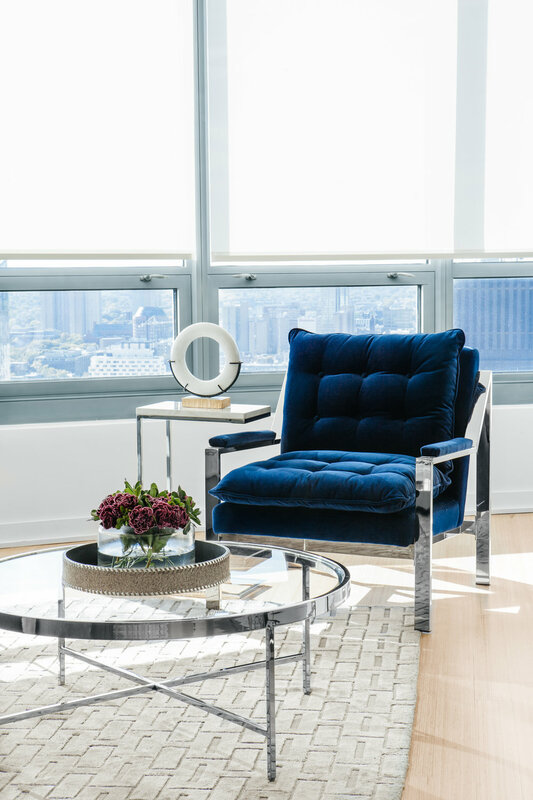 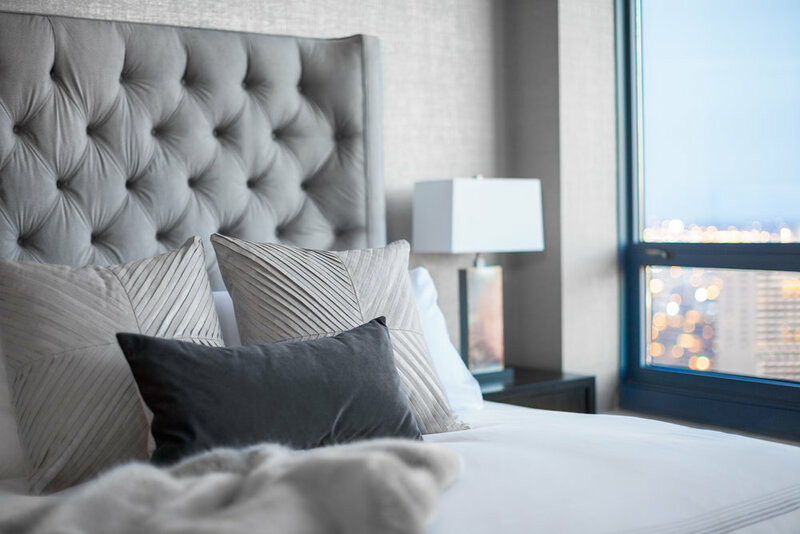 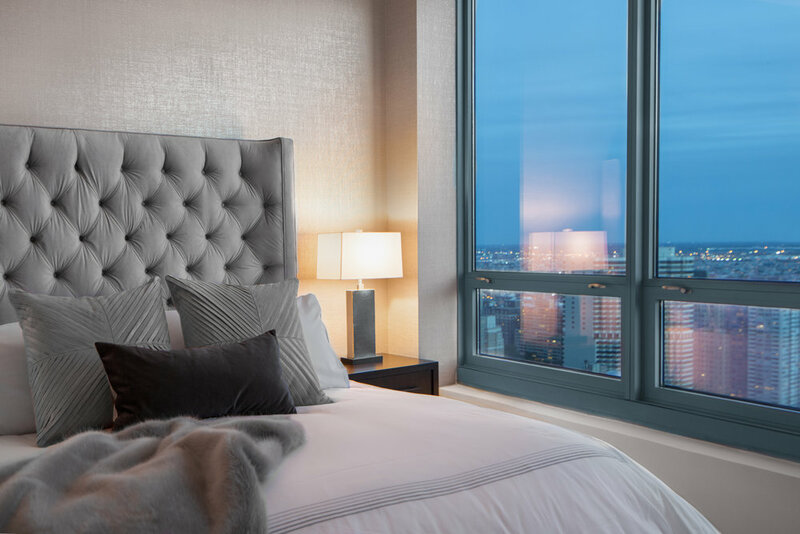 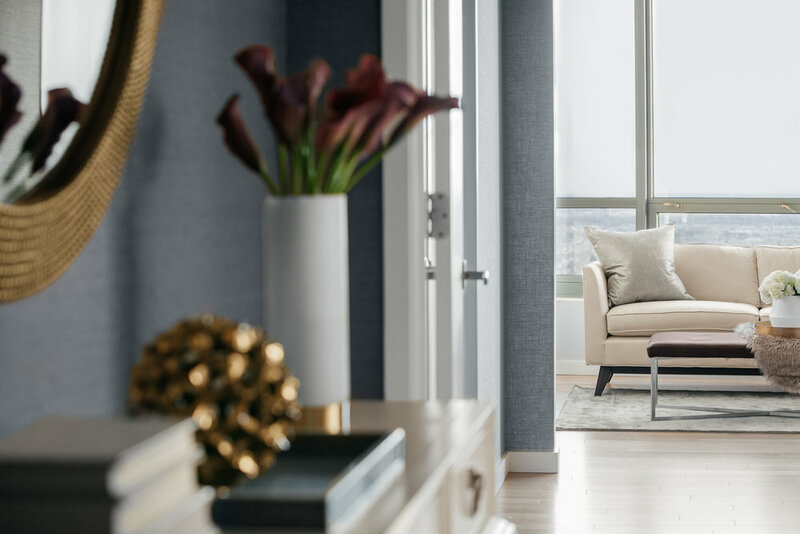 Overlooking Philadelphia's southwestern skyline, this two-bedroom apartment has been designed to capture the panoramic views while bathing the living quarters in beautiful natural sunlight. 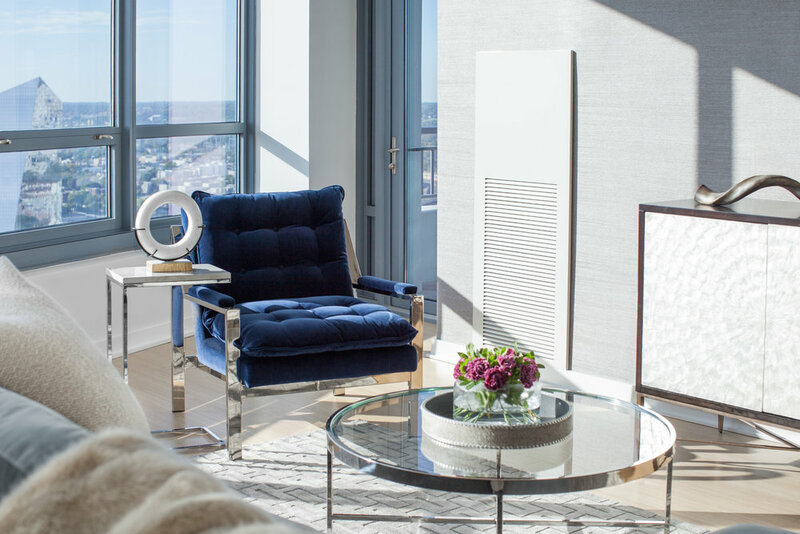 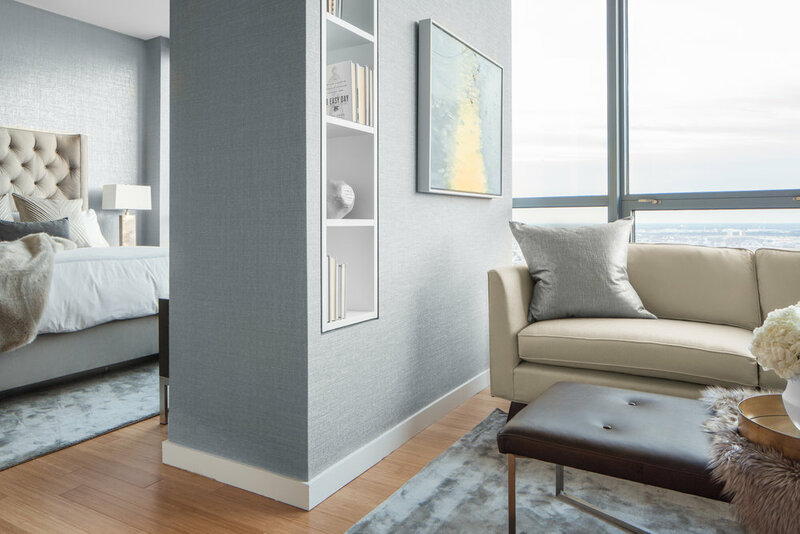 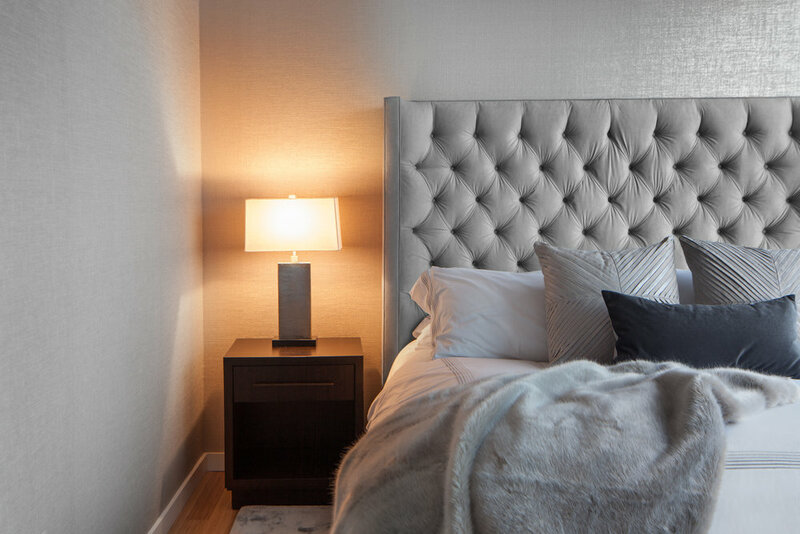 A monochromatic palette, rich with grasscloth and velvet, mixed with capiz shell and alligator textured surfaces, with metallic accents to add warmth and contrast, illustrate a modern, yet timeless interior. 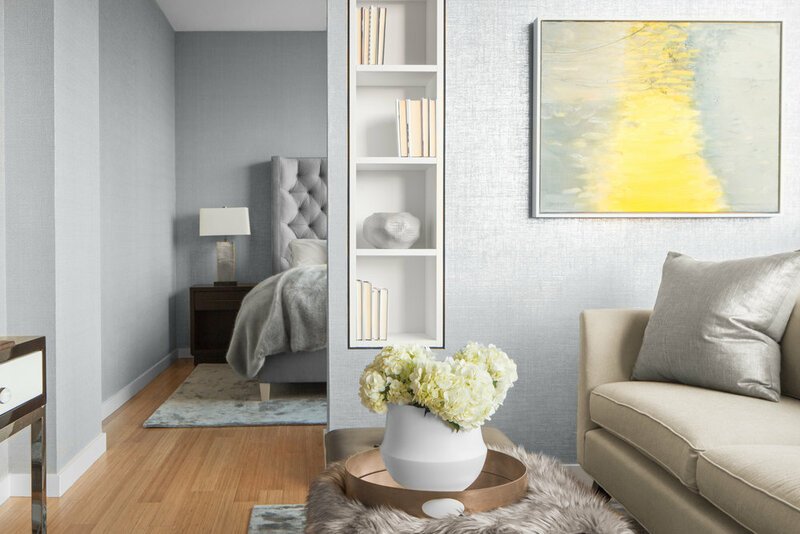 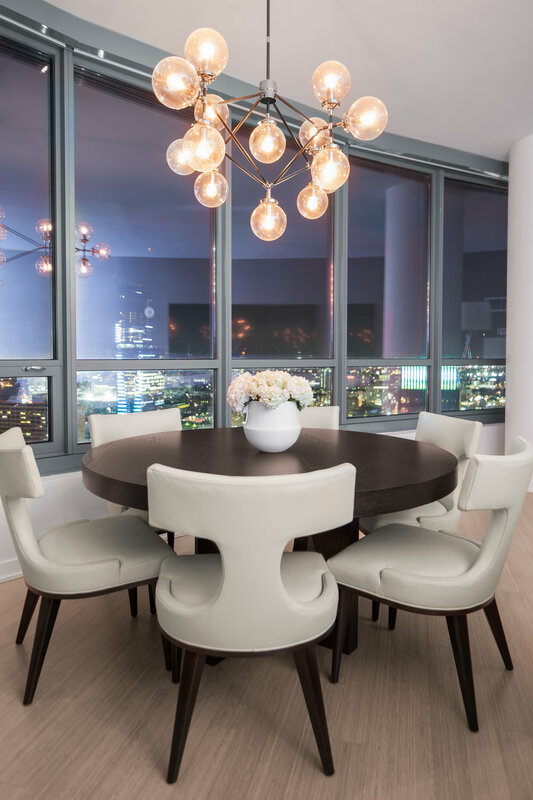 Clean lines and restrained decor make this home the perfect blend of masculine and feminine.